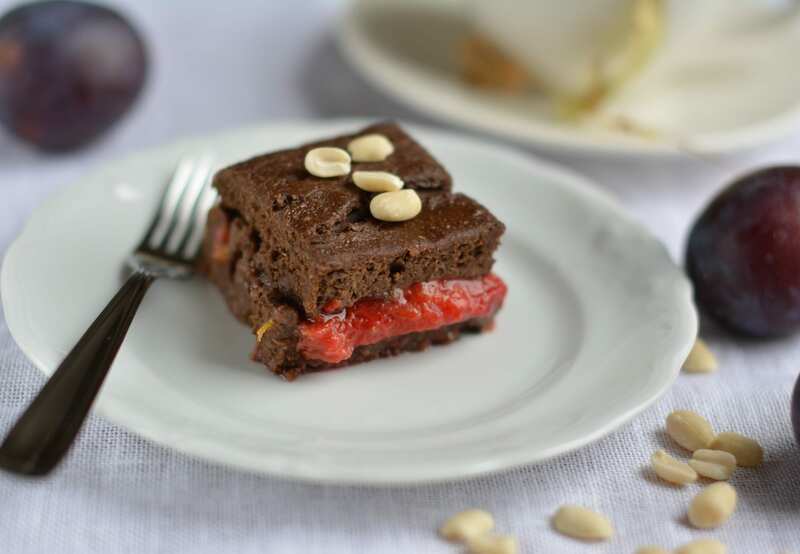 Super moist and delicious peanut butter plum brownies that will fill your kitchen with fall flavours. It is an easy-to-make recipe that even beginners can manage with. Everyone craves for comfort food – some more than others. All of you know what happens when you munch on a conventional brownie – you’ll feel bad, guilty, and gain weight. Can food be comforting and healthy at the same time? I have good news for you – you can have a piece or even more of your brownie without feeling regret or putting on weight. 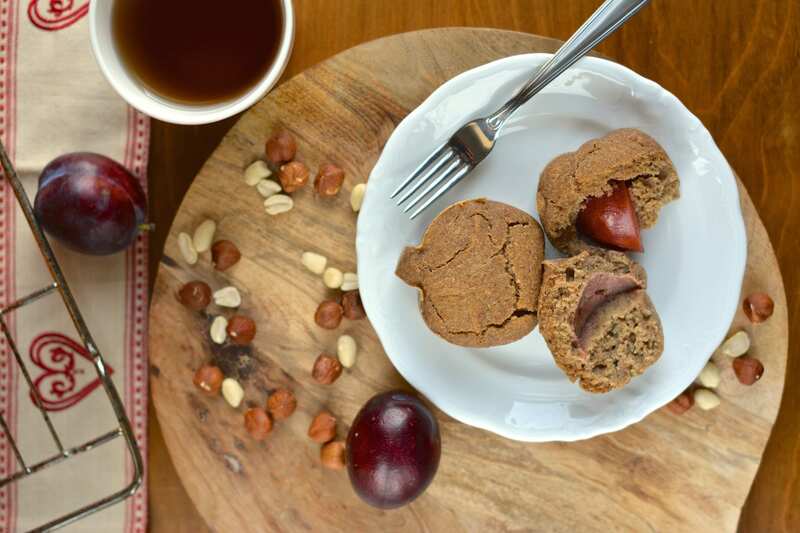 Take a look at the table I drew to compare conventional brownie (butter, sugar, eggs, refined flour) and Nutriplanet’s plant based whole food brownie. You could have almost three pieces of Nutriplanet’s whole food brownie for the amount of calories in a piece of conventional brownie. You’d need to eat seven pieces of whole food brownie to get the same amount of fat you’d be getting from only one piece of conventional one. Moreover, there is 8.5 times more saturated fat in the conventional brownie. 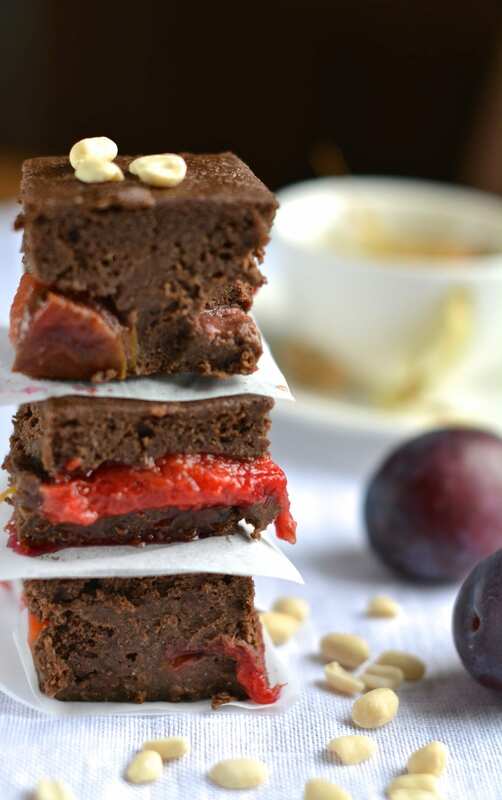 With a lot of plums on market I tried the plum-version of my delicious brownie – it only got yummier! The juicy plum halves are just a delight in the middle of the cake! And the cayenne just adds the necessary extra spice. In a small bowl, cover the chopped dates with 200ml water and let soak for at least 15 minutes. In a big bowl, mix together the flours, baking powder, carob powder, cacao powder, and cayenne pepper. Place the dates with the soak water, banana, peanut butter, and coconut milk into a blender and blend until smooth. Add applesauce and blend again. Add this date mixture to the bowl of dry ingredients, and mix with spoon until all the dry ingredients have disappeared. Spoon half of the batter into a round or square baking tin (bottom lined with parchment paper and sides greased with a bit of coconut oil). Cover the batter with plum halves. Pour the rest of the batter onto the plums and even with spoon. Heat oven to 350 F (175 C). Bake for 30-35 minutes. Let cool in the tin for at least 15 to 20 minutes before removing. Make your own apple sauce – peal 4-5 small or 3 big apples and boil in a bit of water for 5 minutes. Let cool. If you use tartrate baking powder (like I did), add 10 g to the dry ingredients. 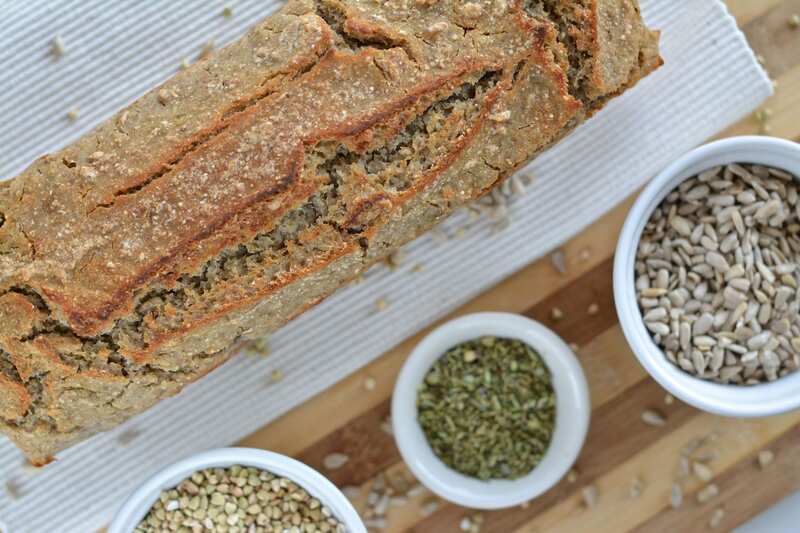 If you do not have oat flour, you can measure 155 g of oats and grind them into flour. Store the leftover brownie pieces in freezer. Heat up in oven whenever needed. Nutritional info (76g piece, 1/16 of the cake): 139 kcal, 23.6g carbohydrates, 3.35g fats, 3.53g protein, 3.72g fiber.